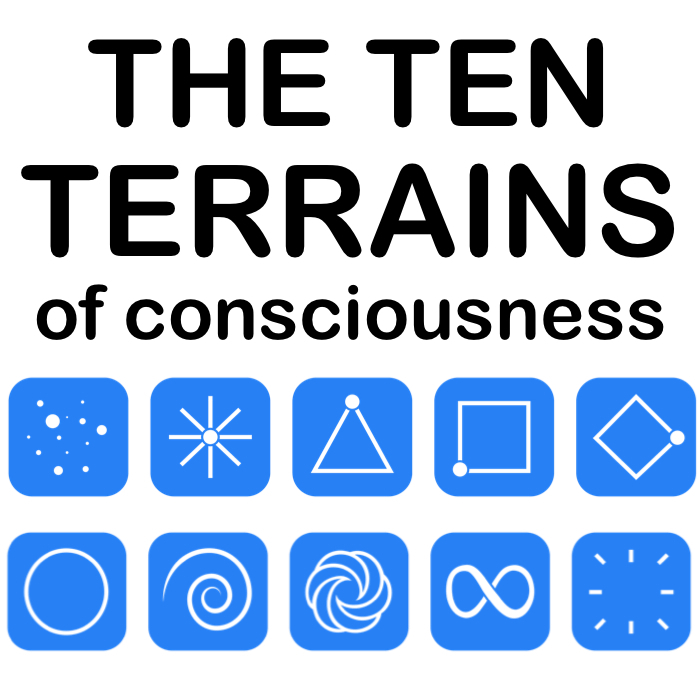 When people first hear about the Ten Terrains Of Consciousness, they can sometimes assume that the more expanded a Terrain a person is at, the wiser they are. That is not necessarily true. There are wise people at every Terrain. And there are also foolish people at every Terrain. Remember that! It is not only people at the Fractal-Based Terrain (Toroid) and the Unity-Based Terrain (Infinity) who are wise. Think of these famously wise people from history: Martin Luther, Ovid, Plutarch, Sophocles, Leonardo Da Vinci, Galileo, Aristotle, Nietzsche, Ralph Waldo Emerson, Henry David Thoreau... These people all ranged in their Terrain from Radial through to Circle. There is wisdom at every Terrain of Consciousness, however the wisdom at each Terrain is coming through a very different filter, and is being given from a very different perspective. It is worth bearing that in mind when you are receiving it. I'm going to speak now from personal experience. I am blessed to have some very 'wise' people in my life at many different Terrains, ranging from Square to Infinity. Some of them are friends, some are colleagues and some are family members. In times of trouble, these people are the trusted ones I turn to, out of everyone I know. Each of them give me quite different advice—because they are seeing reality through a very different filter due to their Terrain—but all their advice is equally wise and equally helpful. I have also been blessed to have many wise and learned teachers and coaches in my life at many different Terrains. I have learned a great deal from each of them. Again, the content of what they teach is very different—as a result of their Terrain—but the quality of it, the depth and wisdom of it, is equally profound. Similarly, I have also known people at many different Terrains who are vain or self-absorbed, or who have major blind spots that they are not willing or ready to see. Yes, even people at Infinity can have these traits! None of those things are Terrain-specific. Wisdom comes from age and experience. It arises in people who have an innate intelligence, a degree of perceptiveness, and a willingness to think deeply about life, to observe and to learn. There are people like this at every Terrain. So do not only listen to teachers at Toroid and Infinity, and do not only turn to people for counsel who are at the same Terrain as you are. Listen deeply to everyone who speaks to you. Listen for the unique wisdom that each person brings you. Factor in the Terrain Of Consciousness from which they are speaking to you, so that you can understand where their words are coming from. And keep your mind open to what you can learn from them. Ultimately, the greatest factor that will determine the degree of wisdom that shows up in your life is the openness with which you listen to people. A bird, a rock, or a person at Particle can be our greatest teacher, if only we truly hear them.